1200mm x 1200mm x 18mm thick. 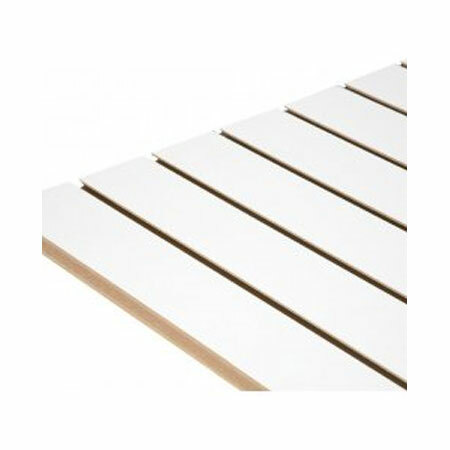 White faced MDF board slatted wall board. one end closed, one end half slotted to enable panels to be seamlessly joined. 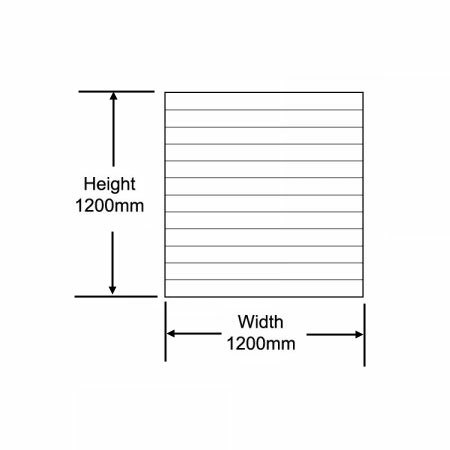 1 Slatted wall panel has 11 full slots plus 1 half slot.